Renowned worldwide for its lush forests, pristine lakes, and mountains and valleys that could come out of a storybook, New Hampshire and Vermont are as picturesque as they are exciting. Home to world-class skiing, the region's most challenging golf, and backcountry adventure like Mount Washington, they provide outdoor people with as much activity as they can handle all year long. There are also quaint towns and clean cities filled with friendly people and dining and entertainment that keeps you coming back. New Hampshire and Vermont also offer beautiful residential properties, with homes in-tune with the gorgeous landscape. There are homes that offer a traditional New England country feel and in-town homes that offer urban sophistication, without the big city pollution, traffic, crime, and expense. Brick & Barn Real Estate Group currently lists New England homes ranging from country estates to forest cabins to townhouses and condos. There is a vast selection of sizes and surroundings, but all are a bargain compared to similar properties down south. 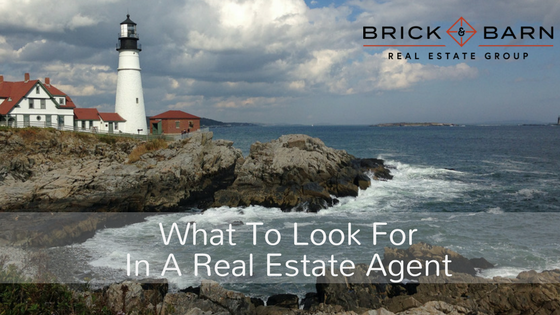 Real estate agents at Brick and Barn Real Estate Group breathe real estate in New England. They know every town, neighborhood, and hot property in their areas. They also know what is going on in the towns and where development is headed in the future. Real estate is a local business, and having local experts on your side makes all the difference. Agents know what areas suit their client's needs. They also know the areas to avoid. They are aware of problem properties, and they know where the hidden gems lie. Your real estate agent guides you to the home that will make you happy. When you contact one of the agents at Brick and Barn, they find out what type of property will work for you and use their turbocharged search power to find you all the options. Real estate agents can access property options that are not available through a search on Zillow. They also often know when properties are close to coming on the market, or when a seller is about to reduce the price. These pieces of information make all the difference when it comes to getting the best deal on a dream New England home. A realtor negotiates on your behalf. They handle real estate deals every day. Their negotiating power allows you to buy a home at a great price, with minimal stress. Few people have the time to negotiate a real estate deal, and they shouldn't try. Not having a realtor in a negotiation is like not having a lawyer in court. Just as an attorney earns his fee by getting you a far better legal result than you could obtain on your own, a real estate agent earns their commission by getting you the best possible property for the best possible terms and price. When you work with a realtor, you have an expert looking out for your best interests. Buying a home is thrilling, but someone needs to safeguard your financial and legal interests. Your agent handles all of the important details, like titles, inspections, and earnest money. Agents also can provide you with other needed professionals, like home appraisers and inspectors and real estate attorneys. The other great thing about working with a real estate agent is that you know who to call down the line if you want to move. Your agent can work to get you the best price for your home. Now that you are on the seller's side, it's time to think about getting that house looking sharp for a spring open house, so you can get top dollar for your investment. Why Brick & Barn Real Estate Group? Whether you are buying or selling a home, a professional from Brick & Barn Real Estate Group will be your partner in the process. We provide a concierge approach to helping you navigate through the experience; end-to-end.. With a highly personal and consultative team of real estate professionals, buyers and sellers are involved and informed at every step in the strategy to ensure the most optimal outcome. Leveraging the latest in digital marketing strategies, 3D photography, and our team of over 20 real estate professionals, we make what can sometimes be a stressful experience a smooth and enjoyable one. We are experts in our communities, passionate about New England, and are excited to help sell or find your New England dream home.